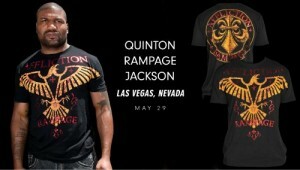 The new Rampage Jackson T shirt for UFC 123 Rampage vs Machida, that takes place in Auburn Hills, Michigan. 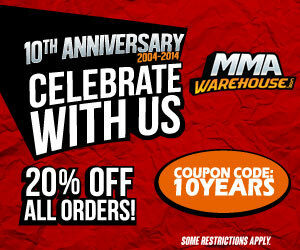 This shirt is a new version of his previous Affliction shirt from UFC 114 vs Evans. 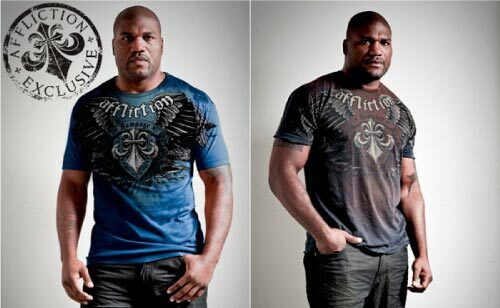 The Affliction Rampage T shirt features the signature warbird and crest design on the front. There is a tiny banner above that with the name Rampage on it. This new version is more stylized than the previous walkout T shirt and reverts to the original “Affliction” gothic style. Also it comes in a bright light blue color.